Each photographer came up with their own idea for a photo documentary. Pictured left to right: Olivier wanted to create more awareness of HIV and AIDS; Princess, to present profiles of people who are important in her life; Claudine, to highlight sewing (a skill she recently learned through the Children of Hope program); Anthony, to feature village life; and Germaine, to focus on the the environment. 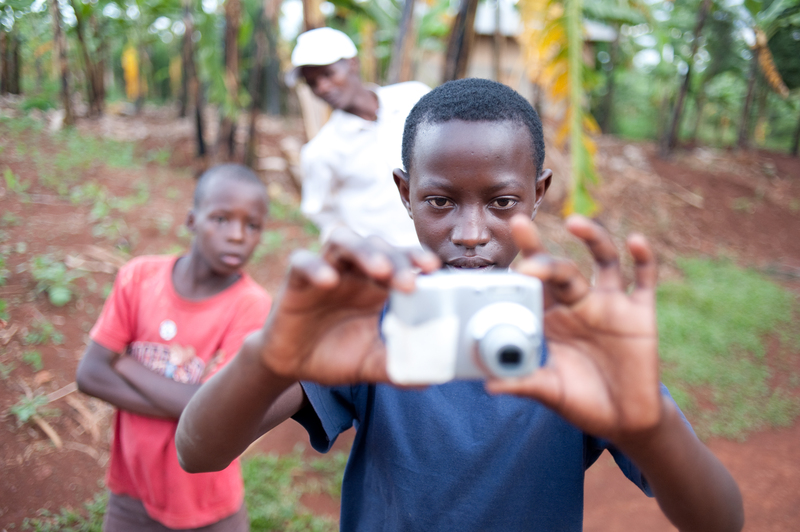 They quickly and fondly became known as “gafotozi” – “small photographer” in Kinyarwanda – by people in the village as they wandered around taking photos. Every morning we met to look at and discuss all photos taken the previous day. This peer review became a fun, interactive and popular way to learn and share key basics of photography and it helped us get to know and trust each other. It was combined with training in some more advanced concepts. 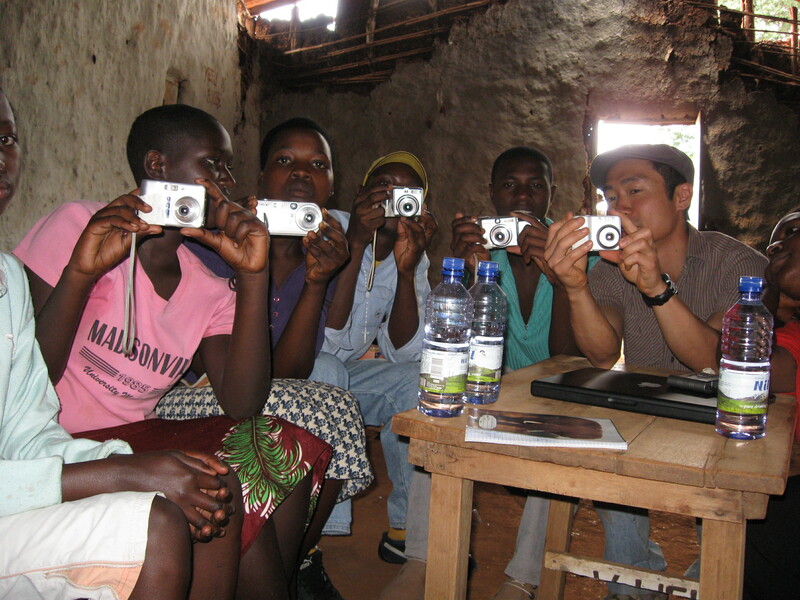 The workshop was facilitated by Johnny Lam (pictured right), a professional photographer from Canada who has a passion for working with disadvantaged youth. He generously volunteered his time to work on this project. Drop by his blog for more photos! 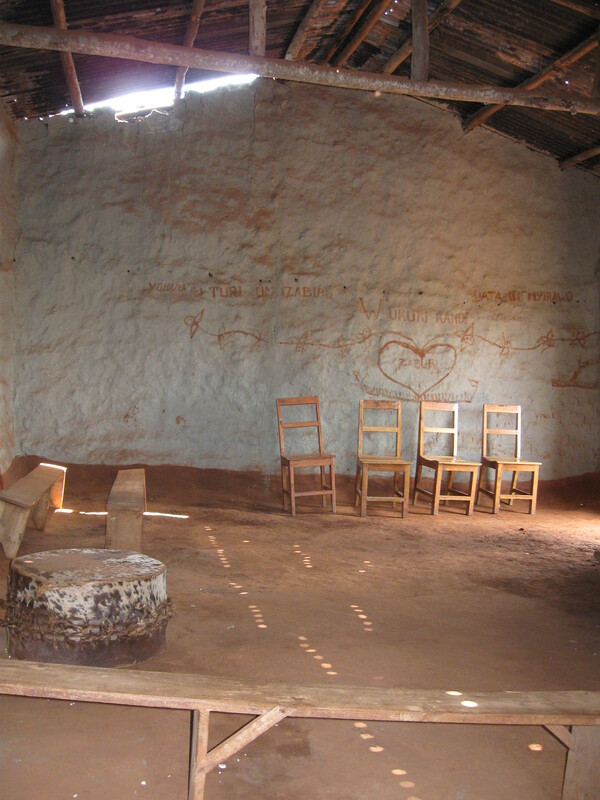 “Decaying before your eyes” is the phrase that first comes to mind about our classroom, a poor, one-room church with no adornments save one simple drawing etched in the mud wall; red dirt floors that kicked up large dust clouds when kids danced their welcome; and a sliver of a tin roof pockmarked with rusting holes which together with the crumbling walls intermittently let in rays of sun and showers of rain. But for us, it was the perfect spot. For the next few days, this rural church became our home base. It is located in a remote village in the southeast region (near Kibungo) and lacks not only basic infrastructure (sorry, no electricity, but water is a short walk away) but also opportunities for youth. A group of orphans and other vulnerable children, including our student photographers, meet regularly with the pastor and other community mentors at the church for encouragement and support. They have started to call themselves Future Hope and are part of an international program called Children of Hope (COH). Esperance Niyigena, COH manager in Rwanda, is loved by the children and is a good mentor and advocate. She was a crucial presence and participant in our workshop, and became our translator, event coordinator/fixer, and good friend. Pictured left to right: laurena, a peace of life co-founder with members of a youth-headed family and Esperance, children of hope manager, rwanda. Together we spent the afternoons visiting homes in the community. It was a privilege to visit not only with our student photographers, their family, friends and neighbours, but also to meet some of the others living in child/youth-headed households. They shared their stories with us – heartbreaking yet hopeful accounts of how they are courageously coping with everything from the after effects of genocide (especially the lingering trauma), to the continuing rampage of poverty and disease like HIV and AIDS. We thank our students, their families, children of hope, the pastor and the community for opening their lives to us. 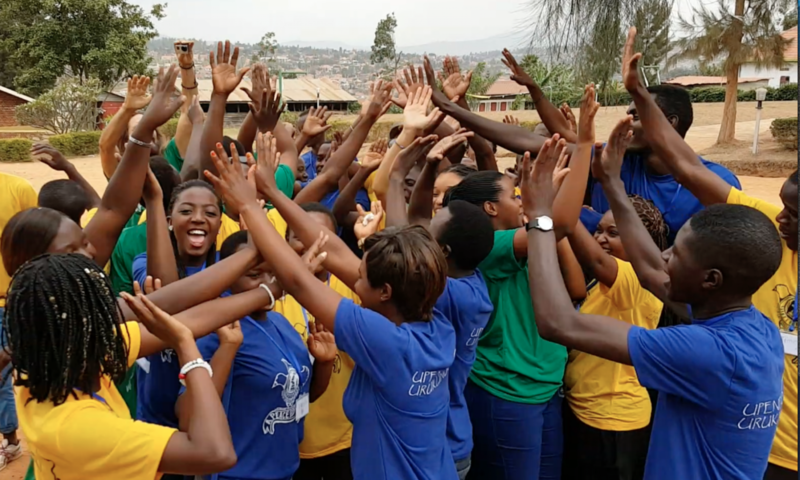 We hope the creative work of these youth will raise more awareness about the issues they face and lead to more opportunities for youth in Rwanda and other countries in the Great Lakes region of Africa. We also thank our supporters in Canada. You are so crucial to the continuing success of this project to encourage, empower and equip youth to work for peace through communications and the arts. Thanks so much for your generousity. God bless each of you. Have a very Merry Christmas! Check in over the holidays for our next posting, news of the surprising turn of events on the last two days of the workshop.